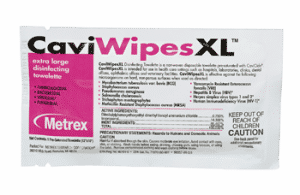 CaviWipes effectively cleans and decontaminates. These are perfect disinfectant wipes for environmental and medical device surfaces. CaviWipes wants you to try their product at no charge with this free wipes sample. With convenient packaging and non-woven towelettes CaviWipes offers infection prevention at your fingertips. This is only available to U.S. customers.